Francis Scott Key could not have imagined that his lyric would inspire a month-long NEH summer institute to mark his song’s 200th anniversary, bringing scholars and performers together with thirty K-12 teachers to create inspiring and insightful classroom materials to fuel a nationwide learning celebration. In June and July 2014 “Banner Moments: The National Anthem in American Life” will do just that, while exploring the anthem and patriotic song generally in American history. The institute will bring scholarship together with instructional creativity to share knowledge and foster cultural interpretation and citizenship in schools throughout the United State. The NEH and the American Music Institute at the University of Michigan have announced that SSMF board members Mark Clague (a U-M musicology professor) and Susan Key’s proposal to the National Endowment for the Humanities for the “Banner Moments” Summer Teacher Institute has received $200,000 in outright funds. The Institute will be hosted at the University of Maryland to facilitate visits to sites critical to the creation and interpretation of the US Anthem—Baltimore’s Fort McHenry, the Maryland Historical Society (which preserves Key’s handwritten manuscripts), the Smithsonian Museum of American History (to see the 1814 flag celebrated in the lyric), and the Library of Congress. 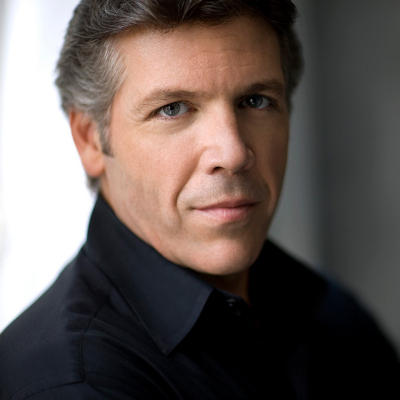 Baritone Thomas Hampson will perform a public recital about the Banner as part of the institute on July 3, 2014 at the Library of Congress. “Banner Moments” is a collaboration among our 30 teacher participants and a range of scholars, performers, ensembles, and institutions, including Choreographie antique, the Federal City Brass Band, baritone Thomas Hampson ( Song of America and Hampsong Foundation scholar), historians and performers David and Ginger Hildebrand, musicologist Sheryl Kaskowitz (author of “God Bless America”: The Surprising History of an Iconic Song), musicologist Alejandro Madrid (University of Illinois at Chicago), anthropologist Maureen Mahon (New York University), Anne McLean (Library of Congress), Christian McWhirter (author of Battle Hymns: The Power and Popularity of Music in the Civil War), Actor David Prather, historian Anne Sarah Rubin (University of Virginia), Wendy Schanberger (Baltimore County Public Schools), music teacher Dan Tolly (Mitchel Elementary Ann Arbor Public Schools), and musicologist Patrick Warfield (University of Maryland). Our sincere congratulations and thanks go to all these collaborators! Information about the institute and details about how K-12 teachers may apply to participate will be posted to this blog and the summer institute’s official site at the University of Michigan soon. Applications will likely be due in November, 2013. This entry was posted in David Hildebrand, Funding, Ginger Hildebrand, Grants, Mark Clague, NEH, News, Performers, Scholars, Susan Key, Thomas Hampson and tagged banner moments, NEH, star spangled banner, summer teacher institute. Bookmark the permalink.